Thank you to all the readers who continue to follow the site. It has been exciting to watch my viewership grow from under 2,000 views my first year writing in 2008 to just under 50,000 views in 2011 (and close to 12,000 in the month of November during the peak of this year's European anxiety). I look forward to another fun year of writing. 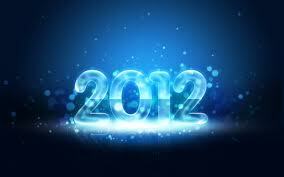 I will be releasing my complete 2012 Outlook during the next week. For those that would like to review my 2011 Outlook you can do so by clicking here. I was essentially correct on sovereign debt, housing, and stocks, but was wrong on the municipal bond market in the US. I was in the Meredith Whitney camp that there would be widespread defaults this year. That has not come to pass, yet. To end the year I will leave you with a piece from the godfather of investor newsletters, Richard Russell, who has been covering the markets for close to 50 years. “I note the frustration and anger of the anti-gold crowd. To miss 12 years of rising prices is enough to make any investor furious with himself. I would guess that 99 percent of Americans have never participated in the gold bull market. Thus, sour grapes is the sentiment of the gold-haters. Happy to say my subscribers who listened to me in the early years of the gold bull market have enjoyed the riches bestowed upon them by the greatest bull market in history. This bull market in gold has required tremendous patience as governments have constantly been active in a game of psychological warfare against the long-term gold holders. This latest correction has tested the nerves of even the staunchest bulls.